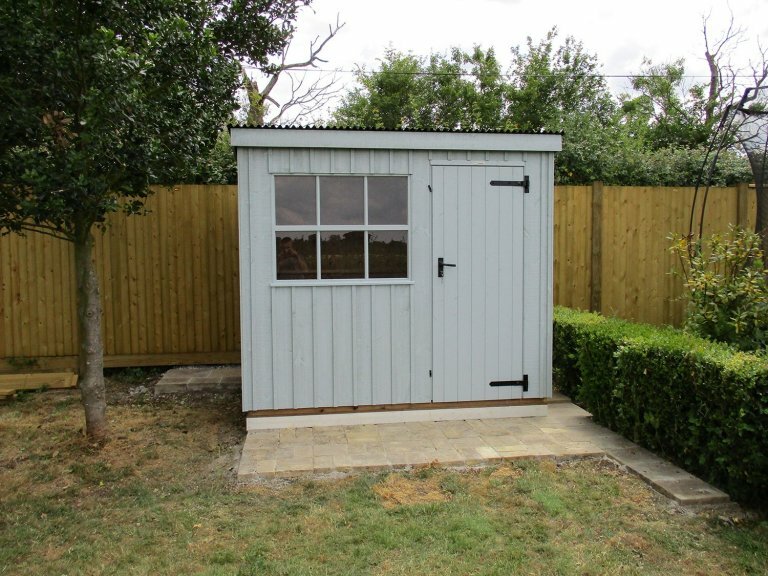 With various different sizes available in our National Trust range, the customer here opted the smaller 1.8 x 2.4m size, perfect for storing the essentials, with traditional aesthetics inspired by the stunning Oxburgh hall in Norfolk. 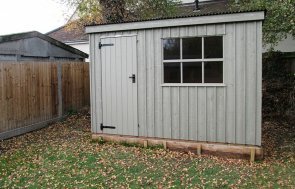 The shed has a pent roof covered with corrugated material, vertically-sawn, rustic-cut cladding, Georgian-barred windows and cast-iron door furniture which all reflect the characterful properties preserved by the National Trust. The exterior paint palette for all National Trust buildings consists of six classical colours carefully created to merge well with both traditional and contemporary surroundings. The customer selected Painters Grey for their building. 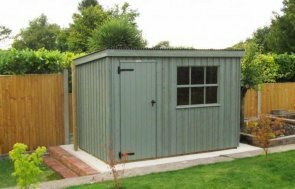 In order to take a look at our range of National Trust range of buildings, which includes both sheds and summerhouses, we recommend that you pay us a visit at your nearest show site, which can be located here. Our showsites boast up to 25 different display buildings and a team of friendly advisors on hand to assist you. Alternatively, you can get in touch with us or continue browsing online.